A powerful backpack sprayer/duster that easily converts from liquid to granular applications. 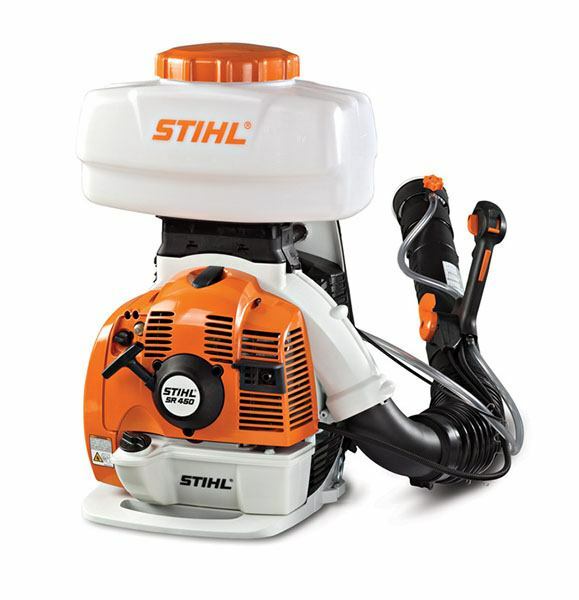 The STIHL SR 450 is a professional-grade sprayer that covers all the bases. Its low-emission, fuel-efficient engine delivers a 20% greater spray range when compared to previous models. Ideal for distributing liquid or solid compounds, this backpack sprayer/duster converts from misting to dusting applications without any special tools or additional equipment. It’s easy to use and provides excellent control over product feed and air speed. And to top it all off, the sprayer also quickly converts to a powerful leaf blower for fast debris cleanup.